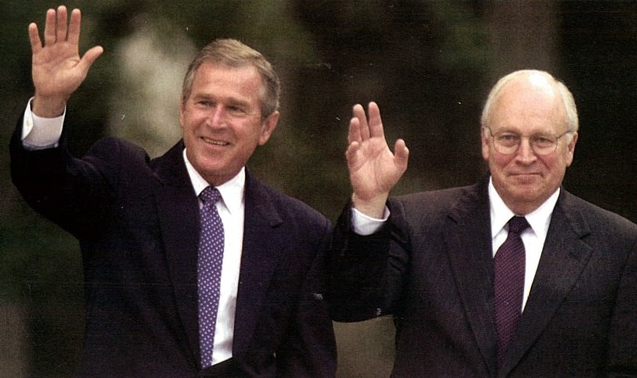 With all the Swift-Boat-like attacks pouring out of the McCain/Palin camp aimed at Barack Obama, people may want to brush up on their Keating Five history and Mr. McCain’s involvement as one of those five. It seems it’s only a matter of time before someone decides to resurrect this piece of history and remind voters of one of the MANY skeletons in Mr. McCain’s closet. Remember the old saying about throwing stones in glass houses? Charles Keating owned a savings and loan in California. He was illegally using the money of his bank’s customers to give loans to himself and friends that they didn’t have to repay, and to speculate on risky real estate investments, which was strictly forbidden by U.S. law (and was one cause of the Great Depression). 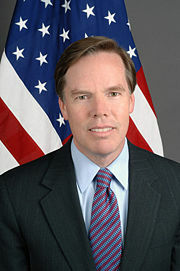 When the feds found out what was going on and launched an investigation into Keating and his company, Keating called five U.S. Senators whom he had wined, dined, and lavished with hundreds of thousands of dollars in campaign donations and personal gifts. 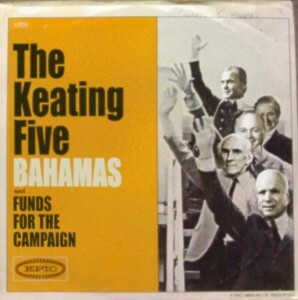 Keating asked the five Senators to tell the feds to bug off, and the five Senators, later known as the Keating Five, obliged, meeting with federal investigators twice and pressuring them to stop investigating Keating’s crimes. They bought Keating some time, but the feds didn’t give up and eventually Keating was nailed. The reason the feds were so persistent was because Keating wasn’t playing with mere chump change. Keating blew $3.4 billion through illegal personal loans and bad investments, and the FDIC had to reimburse Keating’s customers who had been ripped off. John McCain then went back to the drawing board and re-invented himself as “the Straight-Talk Express” and the media gobbled it up. “Tax-Evading-Criminal” doesn’t sound as catchy as “Straight-Shooting-War-Hero”. 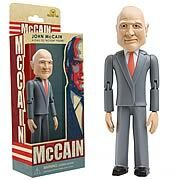 And if you don’t like that particular piece of history, you can purchase this John McCain doll at Entertainment Earth for only $12.99 and re-enact your own version of events.